Miss Justina loves connecting with children and people through the arts. She is a graduate from Cleveland State University with a Bachelor of Arts in Psychology. While at CSU, she took as many dance classes as she could in creative movement, ballet, and modern. Justina grew up with a love of singing and was a member of the Singing Angels, while also dancing at her neighborhood studio. She spent 2 years at Inlet Dance in their trainee and apprenticeship program refining her craft. When asked about Thrive Justina says, “The warm and welcoming atmosphere at Thrive pulled me in. I was hooked immediately!”. She wholeheartedly believes that learning through the arts allows children to explore more of who they already are and who they want to become. Dani is the child whisperer, effortlessly connecting with children at eye level with genuine interest in what they're thinking about and what's going on with them. She loves immersing her students in the Leap 'n Learn pre-ballet curriculum and is enthusiastic about teaching the rhythms and movements of tap dancing. Dani holds Bachelor of Arts degrees in psychology and theater with a concentration in dance, and Master of Fine Arts degree in contemporary dance from Case Western Reserve University. Bobby is all about creative freedom and expression through dance, and loves that Hip Hop is boundless. He has twenty years of dance experience performing, competing and writing choreography. And he has earned a stellar reputation as a Hip Hop teacher. Bobby interned in Hollywood, California with Capitol Films and Sennett Entertainment. 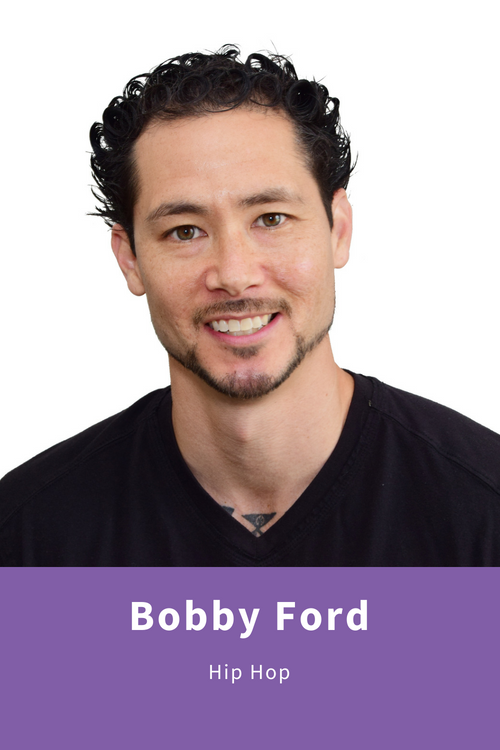 Bobby holds a Multidisciplinary Fine Arts Degree from Lake Erie College, having specialized in Dance, Music, Theatre, and Visual Arts.